Such a cute wig! 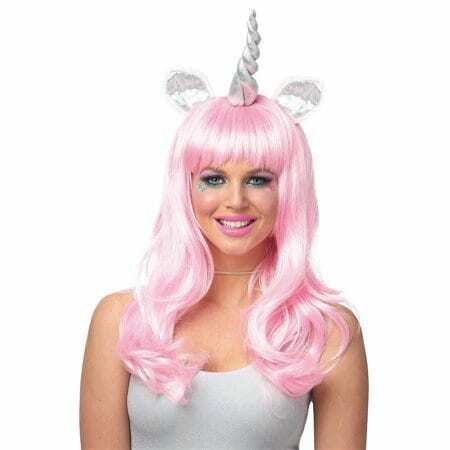 This unicorn wig is available in pink, and is also available in white. 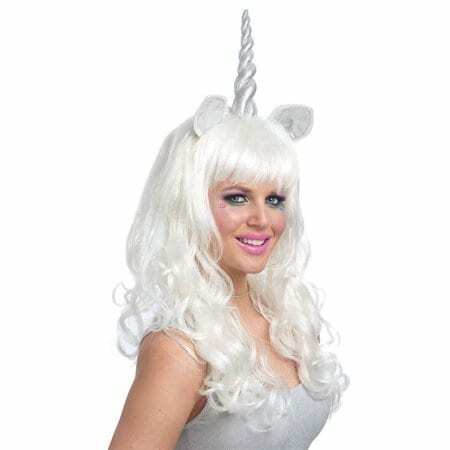 (Item #24597-14-5) Unicorn horn and ears are sewn into the wig which helps it stand straight up once you put the wig on your head.